The discovery of a past DUI crime in either parent's life is bound to bring difficulties in an ongoing custody case. The court may find it peculiar that you had a DUI sentencing even as early as ten years, and decide to act on it. 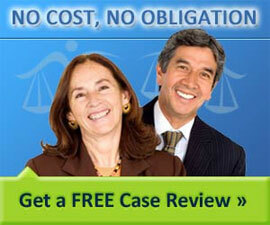 Early DUI cases should not worry you and one should enlist commendable attorney services. However, if you were involved in a recent DUI case or worse still, a series of DUIs, then you are most likely going to have a tough time convincing the judge. You should know that DUI crimes are known to haunt you for the most part of the legal aspect of your life. DUI cases are known to affect the divorcee mother more since the community views her as the ultimate caregiver in a family setting. It is important to note that the other attorney or the state will capitalize on such issues to deny you the custody of your children. The DUI case may have led to a long-term sentence, meaning you have been significantly absent in your child’s life. The judge may feel that you may not be the safest person to raise the child. The judge may rule against you since your driving license was confiscated, and you, therefore, lack a means of transport for your child. The judge may rule against you because you cannot offer a safe means of transport in the case you still have a driving license. Your choice to have driven under the influence may mean that you are an irresponsible person who cannot raise children as expected. You may be denied visitation rights for lack of transportation. If your husband was the DUI offender, then the case is likely to be ruled in your favor. The above adverse effects will help you build a strong case against your spouse. The judge is probably going to view you as the most responsible parent and, therefore, give you full custody. It is critically important to retain the services of a good DUI attorney when facing a difficult case. There are typically complicated questions of fact and matters of law. Handling a DUI case by yourself is usually extremely difficult, relatively ineffective and not advisable. Daljit Rakkar graduated from the San Joaquin College of Law in May 2010 and was then admitted to the California State Bar and the United States District Court. His office has handled many cases in the Superior Courts of Fresno, Madera, Kings, Kern, Merced and Mariposa Counties, as well as the United States District Court. He’s also maintained an exemplary record with the California State Bar Association.